Don’t get too excited. It’s in Pennsylvania. 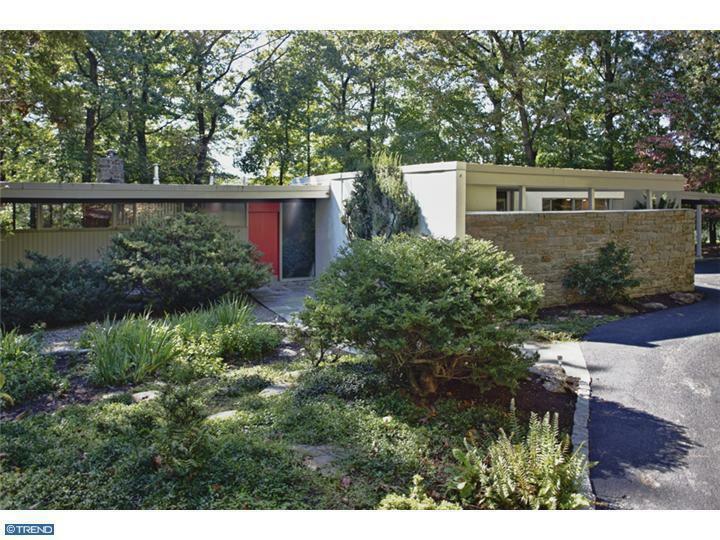 Not that there’s anything wrong with living in Pennsylvania, especially in a Richard Neutra house. 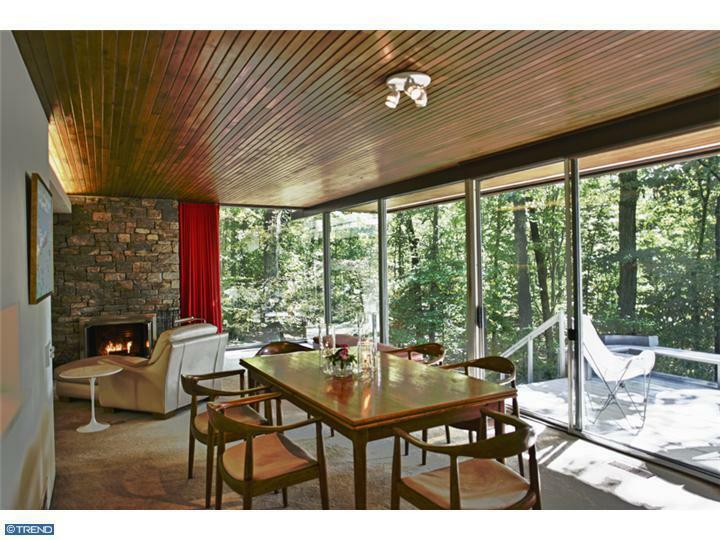 Red door + mid century + respect to environment = major drool. Do I sound like a teenager? I’m not offended. This kind of architecture makes me talk the talk. It’s like, wow. 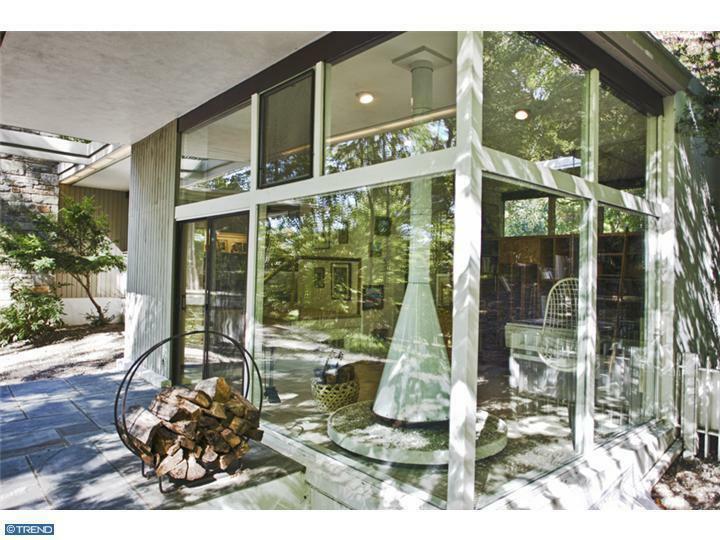 For $995,000, you can live in this pretty glass house. 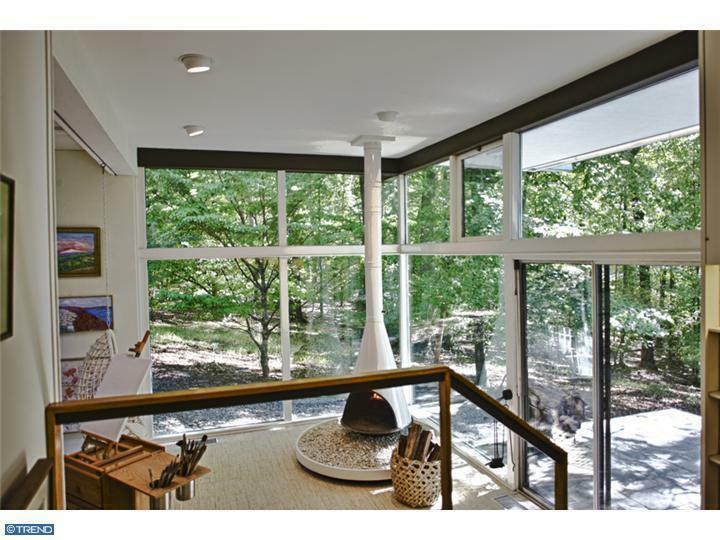 I’ve said this before and I’ll say it again: one of the reasons why mid century aesthetics appeal to me so much is the use of windows to bring the outdoors in. If I could live outside all the time, I would. This is one way of blending nature with a living space without pitching a permanent tent. Richard Neutra was born in Austria but spent most of his life in the US where he made a name for himself in the world of modernist architecture. He was one of the hot talents among other well-known modernists like Pierre Koenig and Charles and Ray Eames who were commissioned to build a series of experimental “Case Study” houses during the mid century — a time when the country experienced a post-war baby boom and families were in need of affordable housing that was pleasing to the eyes. 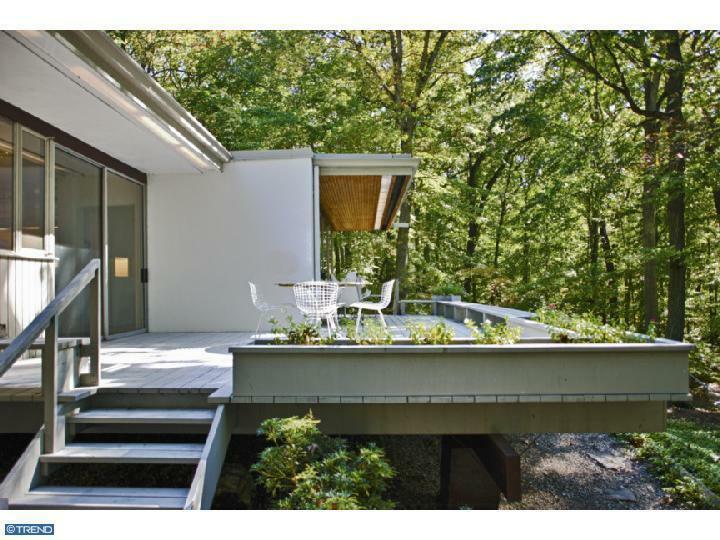 I was actually interested in writing about my beloved Case Study houses when I discovered this listing. In my eyes, it’s worthy of a post on its own. Check out the deck. There’s something about those clean lines. The house blends in harmoniously with its woodsy surroundings. Unlike so many new construction houses, this one doesn’t intrude on the environment in which it resides. Aside from the ceiling of my dreams and the dining room set I would kill for, I’m obsessed with the continuation of that dream ceiling into the deck, and the floor to ceiling windows that give the outdoor and indoor areas a pleasing sense of unity. 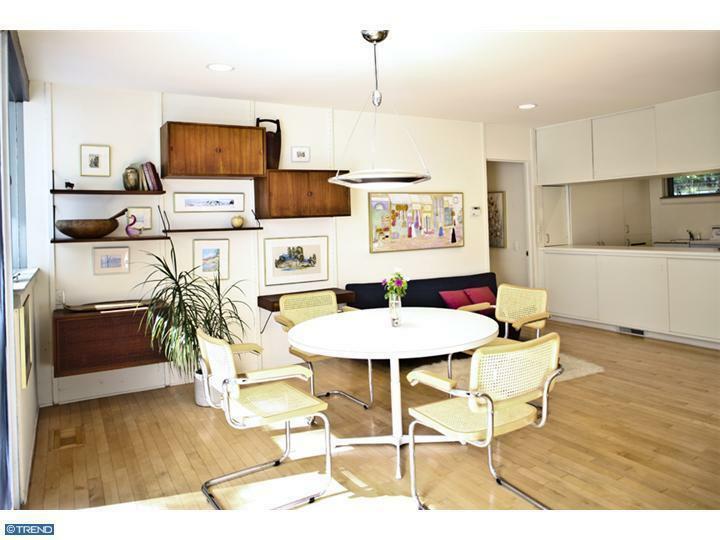 Let’s take another look at the Hans Wegner dining set of my dreams, just for kicks. Neutra was famous for extensively interviewing his clients to make sure all of their needs were met in the houses he designed for them. 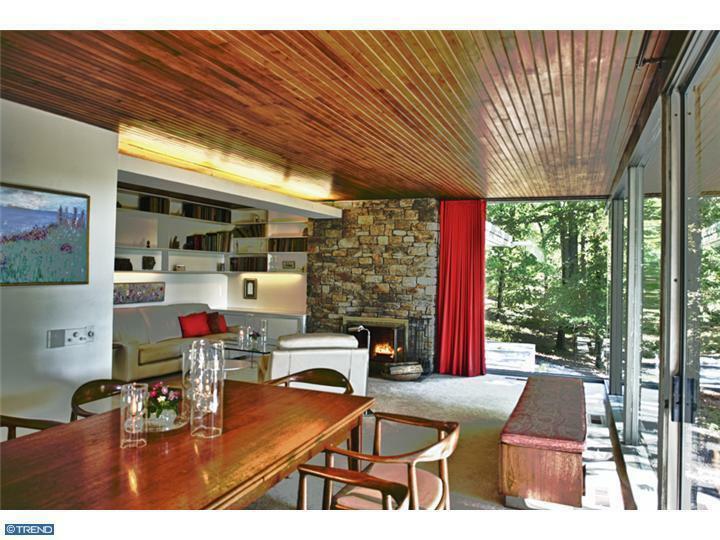 The Coveney family commissioned Neutra to design this home in 1960. At the time, the family wanted a modest three bedroom house to comfortably accommodated their family of four. 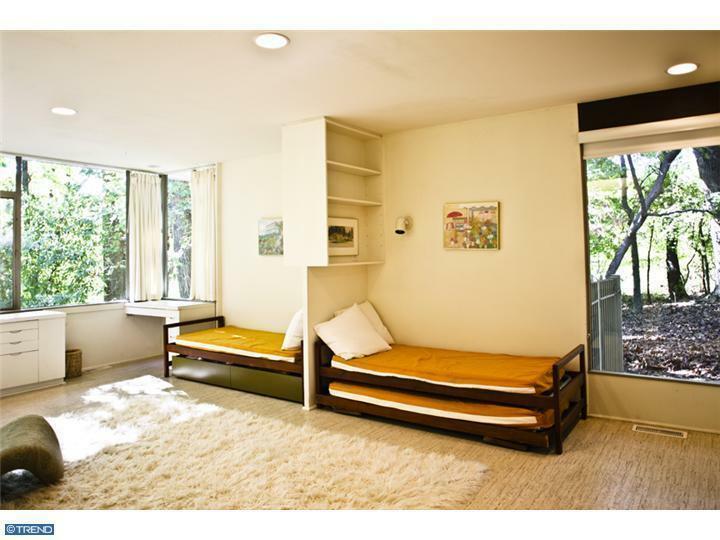 Neutra included a bunk bed in one bedroom, and designed built-ins for the children, allowing for the family to expand if needed. Here’s a look at the office, with some built-ins that were added later. 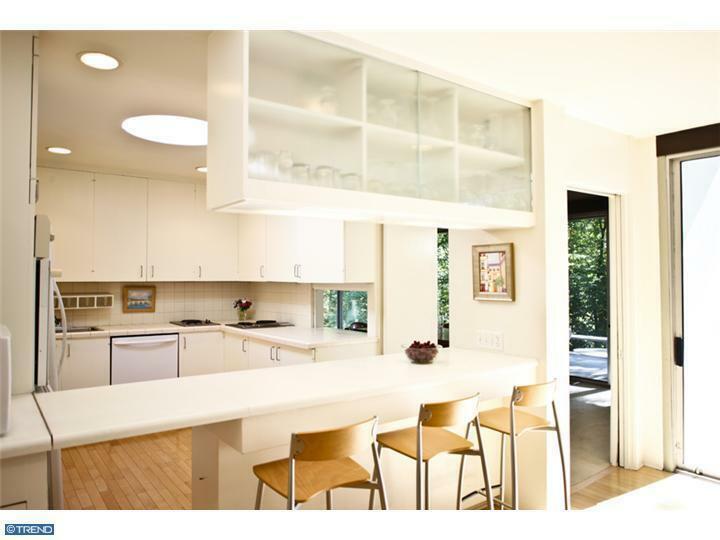 The kitchen is modest but spacious…. 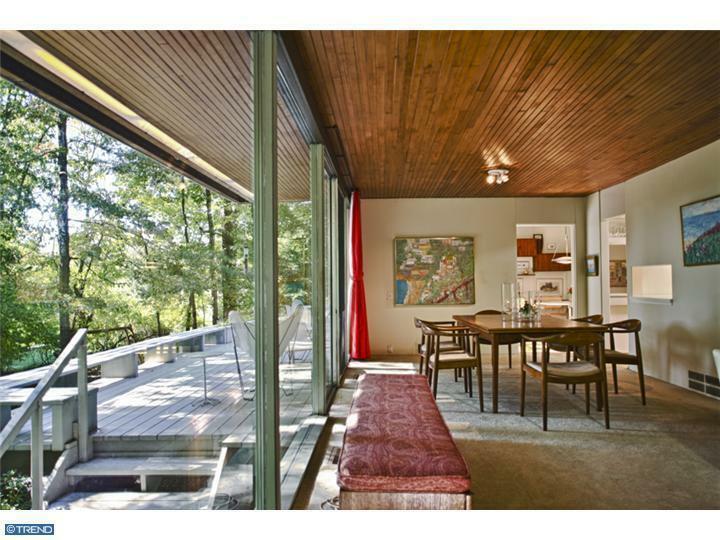 …and overlooks a generous breakfast nook. 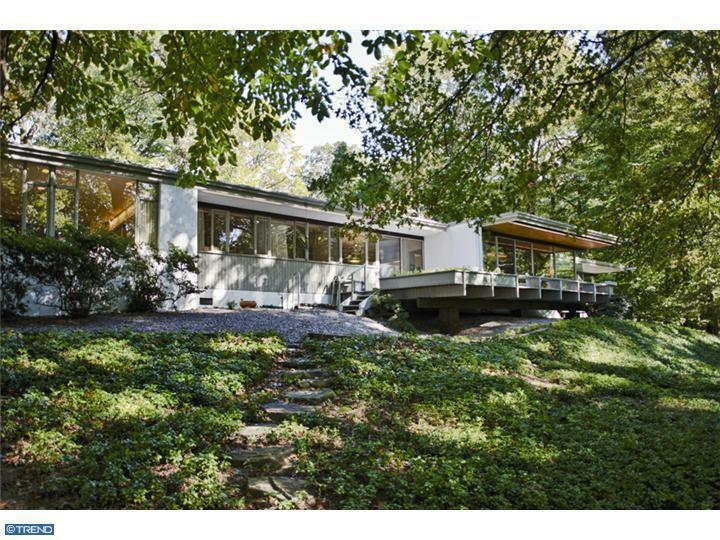 Neutra collaborated with another architect, Thaddeus Longstreth, on the Coveney house. 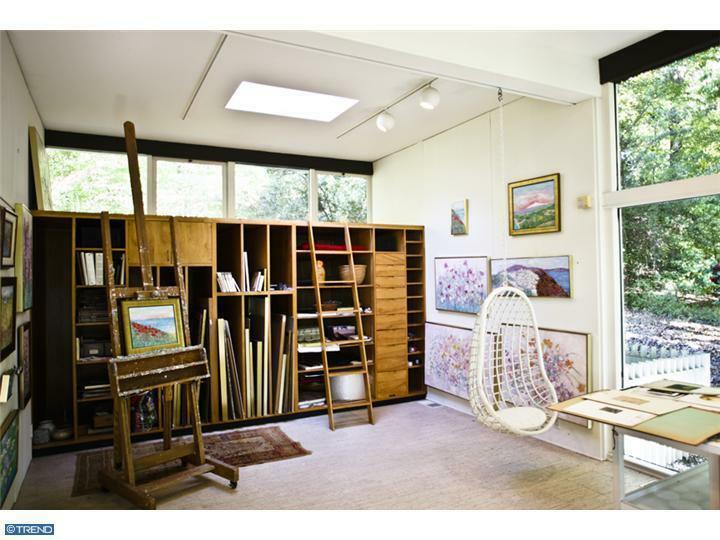 After Neutra’s death, Longstreth supervised the expansion of the house to include a separate artist studio for Sara Coveney, bringing the total square footage to 3,217 with five bedrooms and three bathrooms. Go ahead. Make an offer. But please save that dining set for me as a way of thanking the person who helped you find your dream house. All photos provided by the Pennsylvania MLS. I’m Hot for Hans! 🙂 Great house. Beautiful. You feel like you are outside even though you’re inside. Seems like a dream. I love it too! There’s a very soothing element to blending the outdoors with interior living spaces.